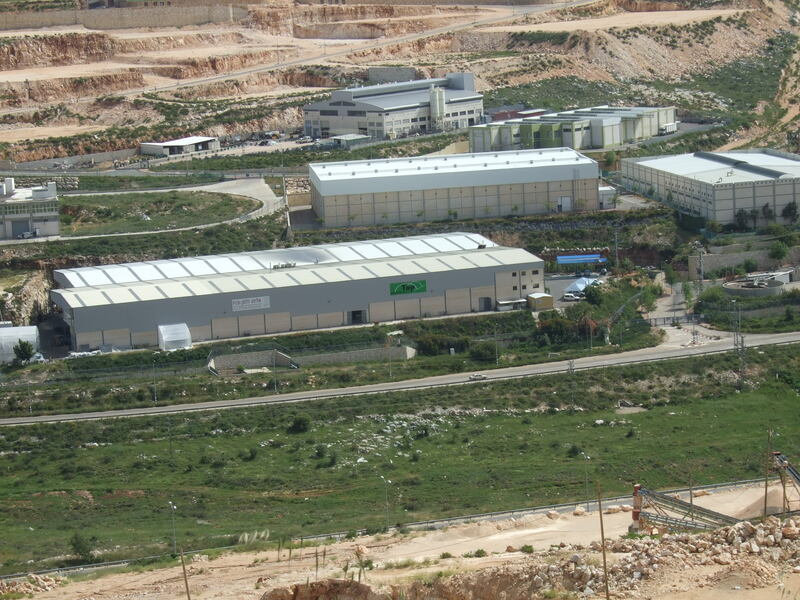 The Barkan industrial zone, part of the Ariel settlement block, was founded in 1982 and is the second largest industrial zone in the West Bank. As all industrial zones connected to settlements, businesses operating there receive generous tax reductions from the Israeli government. 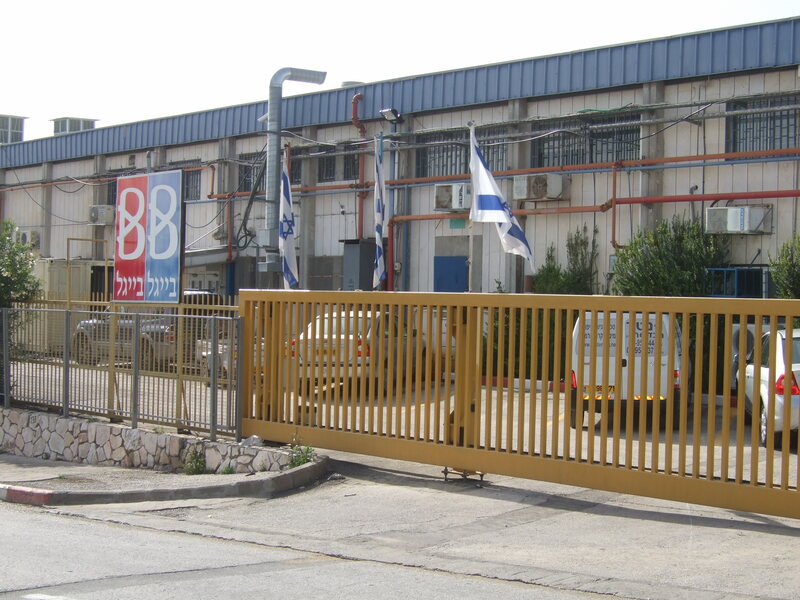 During the last few years Barkan has been making the BDS headlines through campaigns against companies such as Mul-T-Lock (Assa Abloy) and Beigel and Beigel. One company located in Barkan is the Israeli owned kosher food distributor Shamir Salads (51% owned by Willi-Food) who, according to their web-site, export their produce to Russia, the UK, Holland, Denmark, France, Ukraine, Canada and the US. Specialising in ready made salads and various houmous and aubergine dips, they also service “several food distribution routes for the Israeli Defence Forces”. Shamir Salads have been exposed as deliberately mislabelling their settlement produce, with the latest evidence being produced by Gush Shalom, an Israeli group calling for a boycott of Israel’s settlements, in March, when they found Shamir Salads products in the Netherlands labelled as Israeli despite being made in their Barkan facility (see http://zope.gush-shalom.org/home/en/channels/press_releases/1269703726/ ). Recently Corporate Watch met with a former worker at Shamir Salads whose story confirmed that there are many good reasons to campaign against this illegal settlement company. The man interviewed is a middle aged Palestinian man from one of the Palestinian villages near the Ariel settlement and the Barkan industrial zone. He worked for Shamir Salads for one year in 2007-2008. Q, Corporate Watch: What was your job at Shamir Salads? A, Worker: My main job was to control the temperature of the freezers inside the Shamir Salads building. But I also worked wherever they needed me. I did a lot of different things. Q: What were the conditions like at work? Q: You had no days off at all? A: No, I worked seven days a week for my whole time there. Q: Did you have a contract and did you get payslips for your work? A: No. None of the workers there were given contracts. Some employees got payslips with their wages, but I did not as my hours were regularly too long. They did not want to give me payslips because I should have got paid more for working nights but I didn’t. Sometimes people worked a lot of overtime, and for the people who got payslips, the slip would state the legal limit of hours and any more time they had worked they would be paid cash in hand on the side. Q: Who were the workers at Shamir Salads, Israeli or Palestinian? A: All of the workers on the production lines were Palestinian but there were some Israeli bosses and supervisors. There are a few settlers there too, but they did not really work. They were just there to observe that the Kosher process was adhered to during production. Q: How did they label the products that were produced in the factory? A: Most of the boxes I saw said Tel Aviv on them. There were only addresses inside Israel. One somewhere outside Haifa and one in Be’er Sheva. A: I had worked without a day off for a year. I was very tired and getting ill. I left voluntarily as I was working much too hard. The interviewees name has been withheld to protect his identity. More reports about the companies operating in Barkan will follow.